I have been dreaming up this recipe for quite some time. Yes, it is not overly complicated, but it combines some of my favorite things: seafood and pasta. Part of the process is using the same water that the pasta and lobster was cooked in to create the creamy, buttery (butter + lobster = heavenly combo) sauce that coats every strand of pasta. In essence, it is a somewhat lighter version of the ever-popular lobster mac and cheese. Well, whatever it is, it is savory and decadent and a sure-fire way to wow your guests…… or just yourself (hey, eating this in front of your latest Netflix show sounds preeeety awesome). 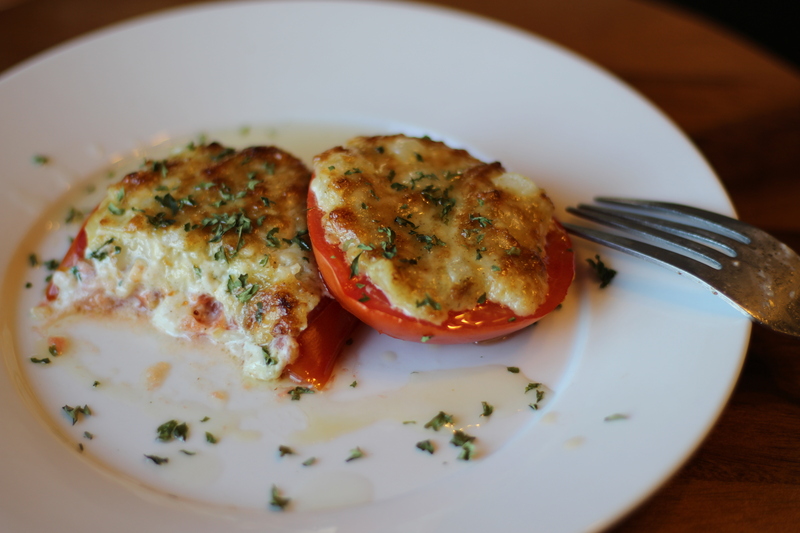 This recipe is one of my go-to’s for a great appetizer. I learned it from my super-amazing step-mom and have some very fond memories of her whipping these up for my brother and me. The combination of the fresh tomato with the creamy mayo and a little spice from the onion, makes this a savory, yet light appetizer or side dish for any meal. Additionally, it is fairly quick to put together and requires ingredients most people have stocked in their kitchens.